The China Earthquake Administration (CEA) of the People’s Republic of China has selected Trimble and Topcon Positioning Systems (TPS) to provide GNSS receivers for a new network set up to monitor crustal deformation and to predict earthquakes. The Crustal Movement Observation Network of China (CMONOC) will incorporate 295 Trimble NetR8 continuously operating reference stations (CORS) and choke ring antennas into the nationwide network. 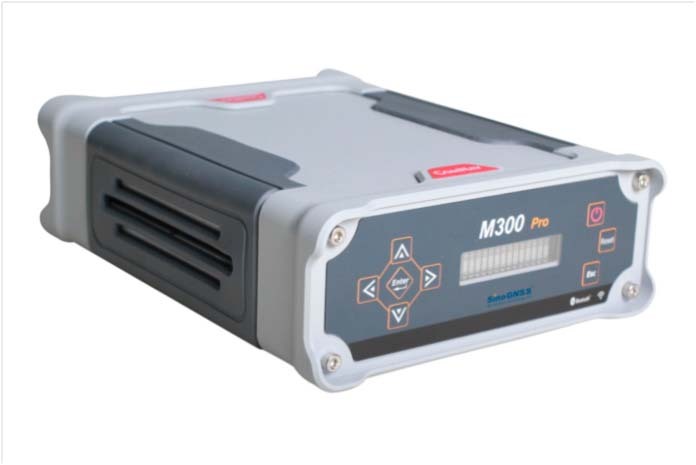 Another 132 Topcon Net-G3 CORS receivers and antennas will also be included in the network. 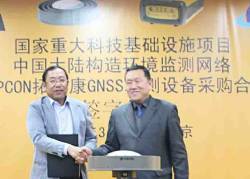 Under a separate contract, TPS will also supply Net-G3 GNSS CORS receivers and CR-G3 GNSS choke ring antennas and software for the Shandong Province CORS Network (SDCORS). The SDCORS Network is designed to provide full coverage of Shandong Province of China with network RTK capability in an effort by the provincial government to improve and modernize its surveying infrastructure. The system consists of up to 120 reference stations within or near the province and will operate continuously to provide network-RTK or network-differential GPS services to subscribers. SDCORS will be operated by Shandong Provincial Agency of Surveying and Mapping. In the wake of the devastating Wenchuan Earthquake (8.0 on Richter scale) last year, the Chinese government hopes to use state-of-the-art technologies to enhance the nation’s disaster-relief capability. CEA is planning to use the equipment to re-measure more than 2,000 ground monuments throughout China in 2009. The CMONOC project is one of 12 National Key Scientific Infrastructure Projects that are listed in the National High Technology Development Project Program by the National Development and Reform Commission, which is led by the CEA, and co-implemented by the General Staff Headquarters Bureau of Surveying and Mapping, Chinese Academy of Sciences, State Bureau of Surveying and Mapping, China Meteorological Administration and Ministry of Education. The CMONOC is a comprehensive monitoring system that combines real-time with non-real-time technologies to observe crustal movement of the Chinese mainland and neighboring areas and variation of their gravity field, atmospheric vapor and ionosphere, and others. The CMONOC will consist of a Geodetic Reference Network, Regional Networks and Data System. The project will provide a fundamental platform for monitoring structures of China’s mainland lithosphere, offshore, and near-earth space. Moreover, the project will track the variation of 4D structural conformations, recognizing an overall trend of crustal movement and dynamics, and boosting development of scientific applications in fields of resource and environment monitoring and post-disaster recovery. The CMONOC will be used in conjunction with space-to-ground observation technologies such as very long baseline interferometry (VLBI), satellite laser ranging (SLR) and interferometric synthetic aperture radar (InSAR), along with traditional geodetic surveying technologies including precision gravity and precision leveling.